It does not matter what vendor you purchase your hair from your virgin hair will shed. If your natural hair can shed of course hair on a track/weft will shed also, it’s normal. 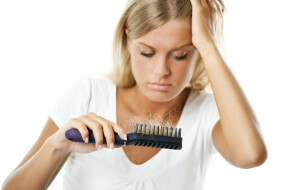 Excessive shedding, thick strands and clumps of hair should not be coming out. To make sure your hair does not shed excessively follow the instructions below. Do not co-wash hair using shampoo. Use conditioner only. Shampoos are only meant to clean the hair from products and oil build up. The excessive use of shampoo can actually cause hair to dry, harden and frizz up which leads to breakage and shedding. Do not punch the sew-in needle through the wefts during installation; this leads to increase in shedding and lessens the quality of the hair. If you are getting a sew-in weave, make sure that your stylist sews in the wefts by looping and tying the weave thread under and over the weft. Keep the use of curling, flat irons, and other excessive use of heating tools to a minimum. The more heat you use on virgin hair – the shorter the lifespan. As with your own natural hair, heat causes breakage and shedding. You can safely use heat when you apply a heat protectant to the hair because it will block the high temperatures and prevent hair breakage. Curling irons are not always necessary for styling. Flexi-rods, perm rollers, and steam roller will set your hair to your perfect desired style without heat. These items can be purchased at your local beauty supply retailer, Walgreens, Target or Walmart stores. Keep your hands out of your hair. Playing in your hair causes damage. When you are constantly running your fingers and hands through your hair all the time, yanking, and tugging at the weft. Whether or not you realize it – you are pulling your hair out. Although it may take some getting used to, it’s very important to keep your hands out of your hair.